Today's post is a guest post. A friend of mine has been kind enough to share her story, in the hopes of helping others. As I like to do, I want to set your mind at ease and let you know that the story ends well, so no need to fret. I know how it can be, reading stories like these, wondering how it will end. 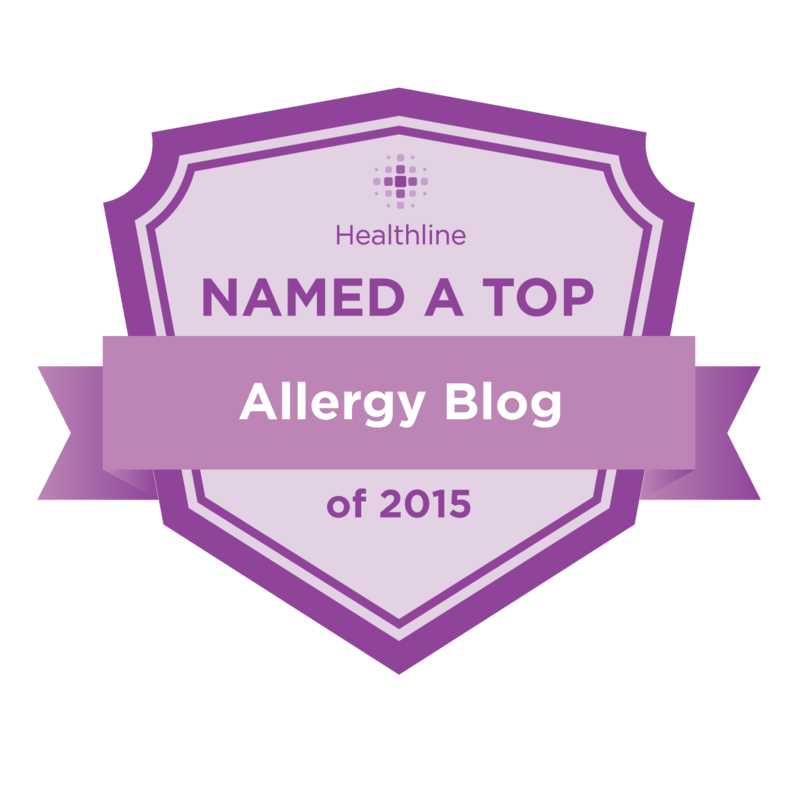 "Last night, I took my 6 year old daughter to the ER for an allergic reaction. She is anaphylactic to peanuts and tree nuts, but we don't have any of that in the house, so I was shocked to see her face just swell up after dinner. We had shrimp, which we have often. The next day, I kept going over and over in my head what could have triggered that reaction. After a while I put two and two together. I was so worried she had, out of the blue, developed an allergy to shrimp. That was my first thought. It wasn't the shrimp. On Wednesday night, my husband has given her a bite of kiwi...she didn't like it, so one bite was it. After a few minutes, he informs me that he thinks Alex has pink eye, because she kept rubbing her right eye and it became very red. I dismissed it as dirty fingers and that was it. The next night , after the shrimp dinner, I tried giving her a kiwi again. She ate about 5 bites before deciding she didn't want anymore. After a few minutes she started doing the same thing - rubbing her eyes a lot. Then, her nose got stuffy and she kept on rubbing and rubbing her eyes. Still, nothing clicks for me at this point. I let her play with my iPad while I cleaned up the kitchen. About half an hour later, my husband yells for me to come look at Alex. Her eyes were SO swollen she could barley open them. It didn't seem to affect her breathing, so I decided to hold off on the EpiPen. I gave her Benadryl and took her to the ER. At the ER, they gave her an oral steroid and antihistamine and monitored her for a couple hours before releasing us. I never would have suspected my daughter was allergic to any fruit so that is why I kept dismissing the signs - itchy eyes all of a sudden, runny nose. I know I won't do that again! I knew better! When I did some internet searches I found that kiwi fruit is a common fruit allergy. I even found an article on livestrong.com that says if you are allergic to kiwi, it is quite possible you are also allergic to chestnuts and hazelnuts. I couldn't believe it. Does kiwi really have similar properties to some tree nuts? If so, then that would make sense as my daughter is anaphylactic to tree nuts. Just something I never would have put together. I learned that with every new food she eats, regardless of what it is, I will watch carefully for allergic reactions and not miss something like itchy eyes." I really appreciate my friend sharing her story, as I think we all need a reminder to focus on the symptoms we see and not whether they are expected/unexpected. She is taking her daughter to the allergist for a follow-up appointment. Kiwi is also one of the many fruits known to cause Oral Allergy Syndrome, also known as "pollen food allergy syndrome", but that does not mean that it cannot cause serious reactions. Luckily, my friend is already stocked and prepared to deal with an anaphylactic emergency, which I hope never happens, but I often worry about those with OAS/PFAS that do not have epinephrine. Even if there's only a 2% chance of an anaphylactic reaction , that's still more than a 0% chance. If any allergists would like to weigh in and let us know if they think epinephrine is warranted for cases of OAS/PFAS, I would love to know their opinion. I have a feeling there are lots of people out there eating foods that make their mouths and throats itch, thinking that will always be the extent of it. Huh, that's funny. My daughter (who has nut and dairy allergies) has always had a flushed face and/or rash after eating kiwi. So much so that we now think she's got a mild kiwi allergy. Not one you hear much about! That's really scary. Thanks for sharing.